How is Big Data Affecting the Hiring Process? According to the Bureau of National Affairs (BNA), competitive markets and talent acquisition is driving big data analytics. These technology solutions allow large companies to utilize software products to source, screen and select hiring candidates. Companies can now customize complex algorithms to find the exact candidate through the power of cutting edge software. 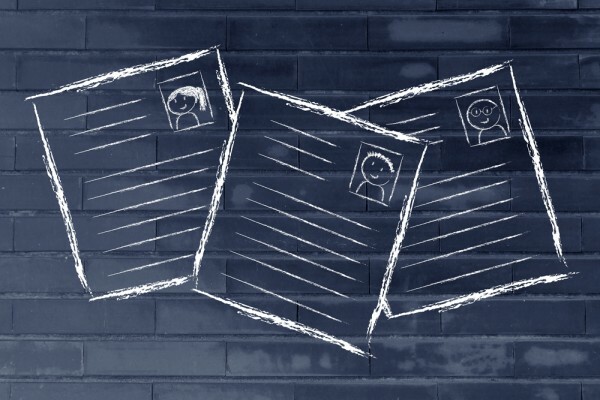 Here are four ways that big data is affecting the hiring process. Big data ensures a faster hiring process through reducing human errors and performing in-depth analysis. That is, there are certain human limitations that negatively affect the hiring process. For example, job postings result in time sensitive, heavy workloads for HR professionals. In fact, a corporate HR manager will typically review 250 resumes for every opening, but only contact up to six final candidates. Having to physically review resumes is a time consuming process and forces HR managers to only spend less than a minute on each resume. It is understandable how and why HR managers would experience burn out and rely on subjective opinions instead of statistical data. Conversely, big data programs will help HR managers make the right decisions through automatically sifting through all of the resumes to provide objective facts and quality statistical analysis. Therefore, the HR managers spend less time reviewing and comparing applications. HR managers are only human and their decisions may be influenced by their current mood, problems at home or even subconscious prejudices. According to one report, HR professionals tend to rely on their instincts, personal preferences and experiential knowledge to make hiring decisions. While this may be appropriate for a small firm or companies with limited hiring needs, it will not work for a large company. In fact, all company hiring and selection practices should be standardized in order to be fair and reduce discrimination. Therefore, big data analytics software will automatically ensure consistency through logical based, algorithmic decisions. This will also legally protect the company from discrimination lawsuits through providing solid evidence that all hiring decisions were made based on the software screening process, and not an individual discriminatory practice. Big data analytics isn’t just useful during the initial hiring stages, it can actually predict employee turnover. That is, careful data analysis will allow HR managers to accurately predict when an employee might quit, which will allow them to take preemptive action to either post the position or help retain the employee. Specifically, big data software programs allow HR managers to statistically analyze collective employee behaviors, performances and characteristics in order predict certain actions. As a result, HR managers will be able to identify why certain employees excel and while others fail, such as many employees becoming frustrated with limited promotion opportunities. Big data can also find correlations between other factors, such as a high turnover rate linked to employee dissatisfaction with inadequate pay or benefits. In the end, big data analytics empowers companies to accurately understand current trends and predict future developments. Certain industries, such as finance, aerospace and intelligence, depend on big data to provide critical security analytics during their hiring process. Even law enforcement and government agencies depend on in-depth background investigations to ensure only the most qualified candidates are hired. In addition to this, companies must protect against losing job candidate and employee personal data while also ensuring their confidential company information remains guarded. Big data programs can not only help with the hiring process, but also offer valuable security analytics for reducing data breaches and identifying external threats. To sum up, big data and analytics is drastically affecting how HR personnel make screening, selection and hiring decisions. Big data results in faster and fairer hiring process, which in turn saves the company time and money. Big data can also accurately analyze and predict employee behaviors, which is an important risk management tool. Finally, security analytics, when combined with big data, offer multiple benefits to the company.